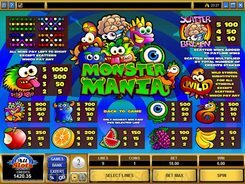 Monster Mania is a funny and a bit weird 5-reel slot packed with cartoonish monsters. 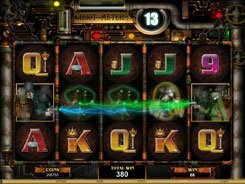 Playable on nine win lines, the game accepts a single coin per line, and its value can be adjusted from $0.25 to $5. 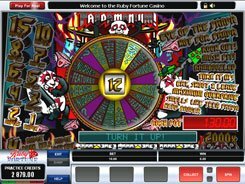 Therefore, the minimum and maximum bets are $2.25 and $45, with all paylines covered. 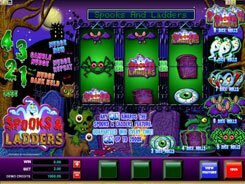 On the reels you will see one-eyed monsters, fluffy monsters, horned monsters and other creatures that look funny rather than frightening. These are complemented by fruit symbols like watermelons, oranges, grapes, apples and bananas. 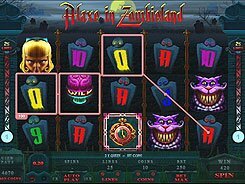 Monster symbols create winning combinations starting at two matching symbols, not three, as the case usually is. 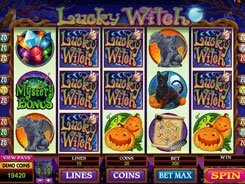 The slot has a wild that substitutes for regular symbols and pays out the top jackpot of $5000, for five of a kind. Scatter Brain, as you probably guessed, is the scatter. It pays out up to $4500 independently of its position on the reels if three, four or five scatters occur anywhere in view. 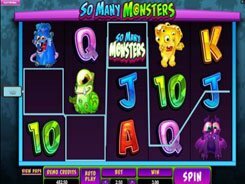 The slot has no free spins or any bonus rounds whatever, still Monster Mania is colorful and very funny, and is worth at least a try from all Microgaming fans.